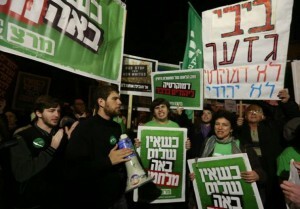 Amid angry shouts of “Democracy Now!” and “Equality!” protesters argued that the legislation will further alienate Arabs by stripping them of basic rights. Prime Minister Benjamin Netanyahu’s controversial proposed draft, which would legally define Israel as the nation-state of the Jews, has been met with vehement opposition not only by the Arab world and Israelis alike, but by members of his own coalition. 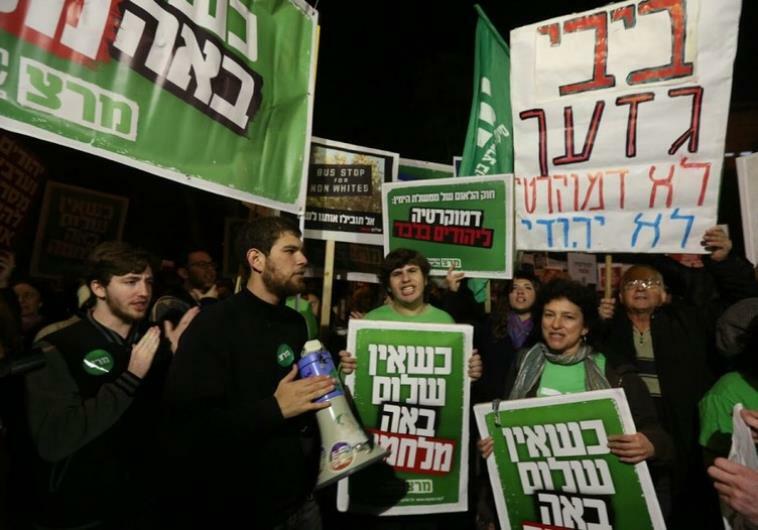 A recent Knesset vote to approve the law was postponed due to significant infighting among coalition members, including outspoken critics such as Finance Minister Yair Lapid and Justice Minister Tzipi Livni. Hila, a retired nurse who requested her last name not be published, expressed visceral outrage over what she deemed to be the legislation’s existential threat to the country. Hila added that she believes the prime minister’s motivation to pass the bill is self serving. Moreover, she said such legislation is teaching young Israelis to hate and become intolerant. Prof. Menacham Zur, a retired composer with the Academy of Music, described the proposed law as “disgusting” and counterproductive. Zvi Hillman, former deputy director of the Israel Museum, said the law is antithetical to former prime minister David Ben-Gurion’s vision for the country. Conversely, Nechama added that more democratic and inclusive overtures must be made to Arab residents to quell growing unrest, defined by ongoing terrorist attacks and rioting.